Thanks! 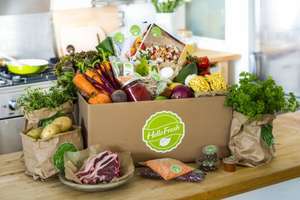 I love the idea of these and have tried both Gusto and Hello Fresh but was disappointed with the quality of the food. Will bookmark these for future. The HELHEL code for £25 off doesn't seem to work Is it working for anyone else? I've noticed that lloyds give differant rates to differant people. Husband had 20% for harvester whilst I only had 7%!!! Not sure why! Yes please may I have the code? I only get 10% with Lloyds?! Used yesterday with £25 code (available if anyone needs) Made it £10 for 3 meals delivered and 50% cashback making it £5 Hot. Seems to be a wide bank offer. Showing as 50% off on Santander aswell. 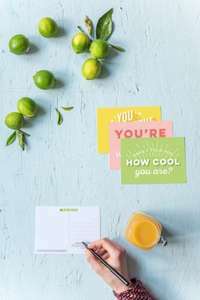 Free thank you cards from hellofresh. Scroll down til you see the form and enter your details. Terrible food, but hey, free stuff! Thanks very much OP! Ignore the downvotes, this is a great deal! 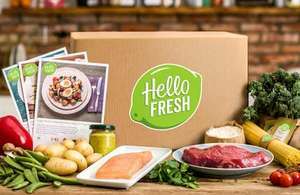 Had Hello Fresh for about 4 weeks and it is an excellent way to prepare good quality meals using top notch ingredients without the hassle of hunting around a supermarket and finding they have all but one of the items. Recipes are very interesting and get you try new things. However normal price is expensive !! But this deal is good. I get asked every single day to join them going to work or coming back by their sales team at railway station or market . Sick of them. don't bother. rubbish quality ingredients. Under £12 sounds fine but £49 for 5 meals!? That is a £10 per meal, and most of meals are like meatballs, etc. I can easily feed 4 of us for £5 per dinner especially with meatballs! Tried these - they're ok - but do take a long time to prepare (1 hour minimum) where I bought it to try and save time after work. Would be good if they did a low cal box too, but well worth £11.76! Even at £29 that's a joke! It is a joke isn't it? Cause I can't stop laughing oO Also not everyone use tcb. What code did you use for £25 off? I think I'm going to cancel and try again without any code and see if the cashback tracks at 63% as that's a better deal, I'll let you know how I get on. I know what you mean, I got 3 meals for £14 which seems like an ok deal as long as we like the meals, I didn't include the children so will have to do something different for them if there isn't enough to spare. Its not really the kind of thing that I would purchase but I think I'll risk it out of curiosity for the £14. I haven't started it until the 5th as I didn't want it during half term week so I still have some time to cancel if I do decide. If you're getting yours next week let me know if it's any good - the review seem to be good for it but they sometimes forget stuff apparently. How annoying. Not too sure whether to cancel now. £24.50 (I used a 50% off code) for 5 meals isn't *too* bad, I think, as long as the quality is OK. I placed my first order this week using an amazon code for £25 off. I thought I'd try through TCB and see what happens but mine went straight to declined with an amount of £6.78 crossed out. My cashback went into the declined column today, I think I'm going to cancel the order. What's happened with yours? The code took 20p off my £36 order! !